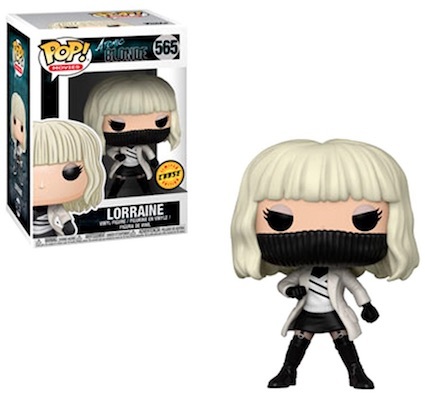 Charlize Theron is Atomic Blonde, and Funko Pop Atomic Blonde offers multiple options for the killer spy. Theron plays Lorraine Broughton, a top agent for MI6, which is the foreign intelligence organization for the United Kingdom. 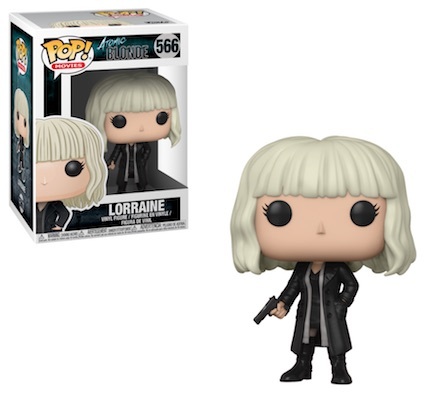 Although there are several versions, each Funko Pop Atomic Blonde figure naturally showcases her platinum-blonde hair. Pop! 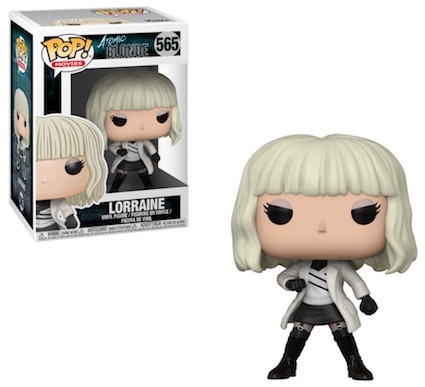 Movies figure #565 features Lorraine in a white coat with a black-and-white striped sweater and black gloves, posed in a fighting stance. 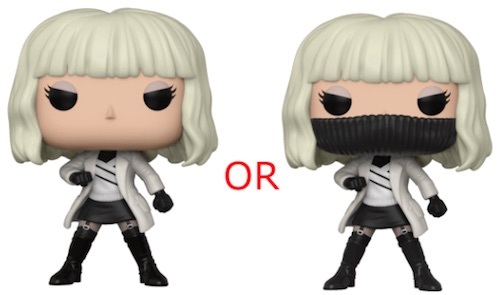 The chase variant shows her with the sweater pulled up over her nose like a mask. Shop Funko Atomic Blonde Figures on Entertainment Earth. 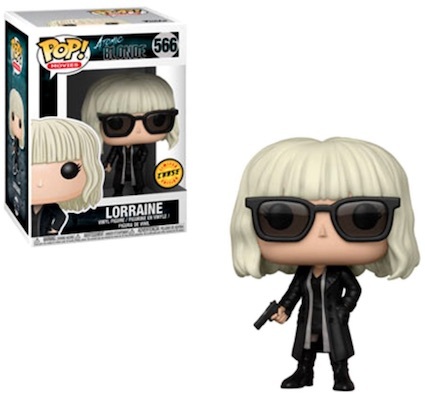 Figure #566 presents Lorraine in a long, all-black coat, holding a gun in one hand and her other hand resting in a pocket. The limited chase version wears sunglasses. Although the chase variants aren't incredibly rare, they normally replace one main figure in every six boxes so they can be more difficult to locate in the wild. Click on the images or listings below to buy figures on Amazon or eBay.